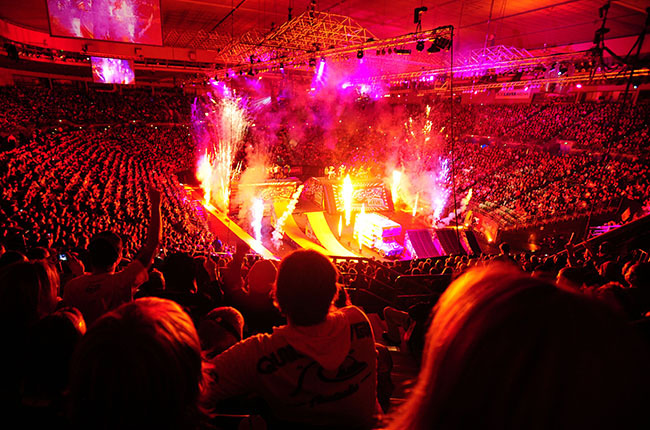 The North American Nitro Circus Live arena tour kicks off this week and will make its first ever visit to Vancouver (and five other Canadian markets) at Rogers Arena on Sunday, November 1. Starring Travis Pastrana, 17-time X Games medalist and “ringleader” of Nitro Circus Live, the latest creation of the world’s biggest live action sports show that has performed sold out shows for two million fans on five continents and unites the best athletes in freestyle motocross (FMX), BMX and more in a spectacular all-new production. The energy from the show not only fuels those in attendance but pushes each of the athletes to new limits which means more entertainment for the fans. Pastrana will lead an elite team of athletes, including a star-studded FMX lineup featuring the world’s first triple “backflipper” and reigning X Fighters champion Josh Sheehan. Australian X Games gold medalists Blake “Bilko” Williams and Cam Sinclair plus American superstar Adam Jones will also appear. The new Nitro show “is really retro,” according to Pastrana, mostly because the entire performance is choreographed and styled as a 1920s three-ring circus. The stunning new set will transport fans into the past with an eerily haunting, abandoned, derelict Big Top. This all-new theme provides the perfect backdrop for the Nitro crew’s aerial feats. 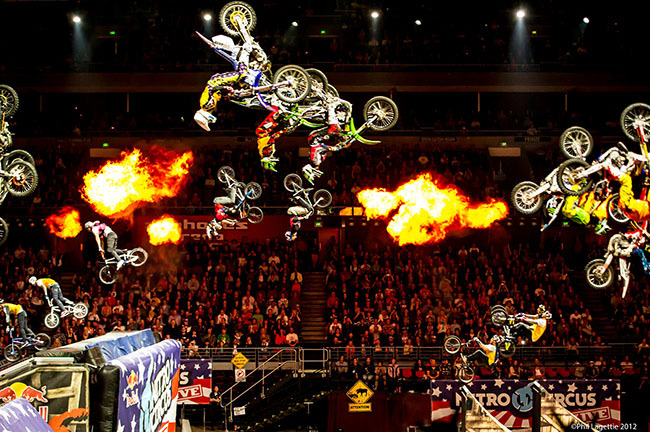 For more information, including to see a full list of tour dates and how to purchase tickets, visit nitrocircus.com/tour.